For its 2018 edition, BRAFA, the Belgian art and antiques fair, honored Christo and Jeanne-Claude by exhibiting an early sculpture which has characterized their work ever since. We speak to Christo about working in the public realm, the importance of architecture, and why he would never accept any donations to fund his projects. Christo and Jeanne-Claude are best known for their large-scale, temporary works of art that intervene on the built environment as well as the natural world, like the wrapping of the Reichstag in Berlin and the Pont Neuf in Paris, or more recently, the installment of floating walkways on Italy’s Lake Iseo. 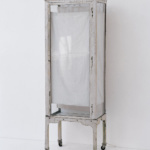 But it’s a far lesser-known work that the latest edition of BRAFA Art Fair celebrated earlier this month in Brussels. 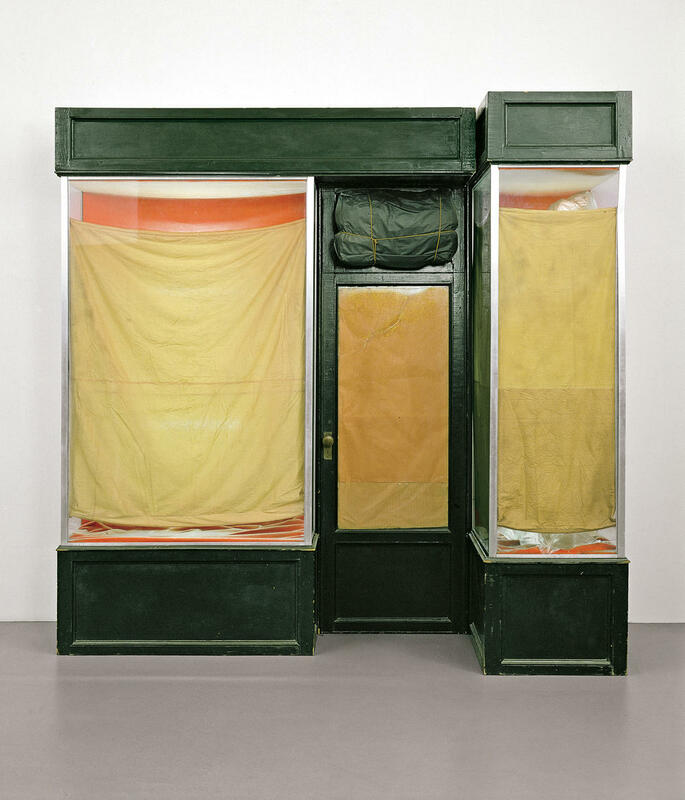 Three Store Fronts (1965-66), a rarely-exhibited, early sculpture 46 feet long and 8.2 feet tall, mimics the facades of a retail space, and marks an important shift in the artists’ career: from objects to environments. 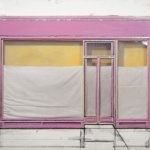 When the Bulgarian-born Christo met his late-wife Jeanne-Claude in Paris in 1958 (she passed away in 2009), his work mostly revolved around the wrapping of everyday objects, like cans and bottles. The couple first turned their attention to the outdoors in 1961, with the artwork Stacked Oil Barrels and Dockside Packages (also considered their first collaboration), installed at the Cologne Harbor, then again the following year, with Wall of Oil Barrels – The Iron Curtain in Paris, a response to the construction of the Berlin Wall. 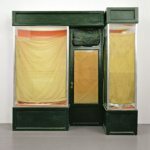 From 1963 until 1968, the development of their sculptural works Show Cases, Show Windows and Store Fronts, further solidified their interest in the public realm. 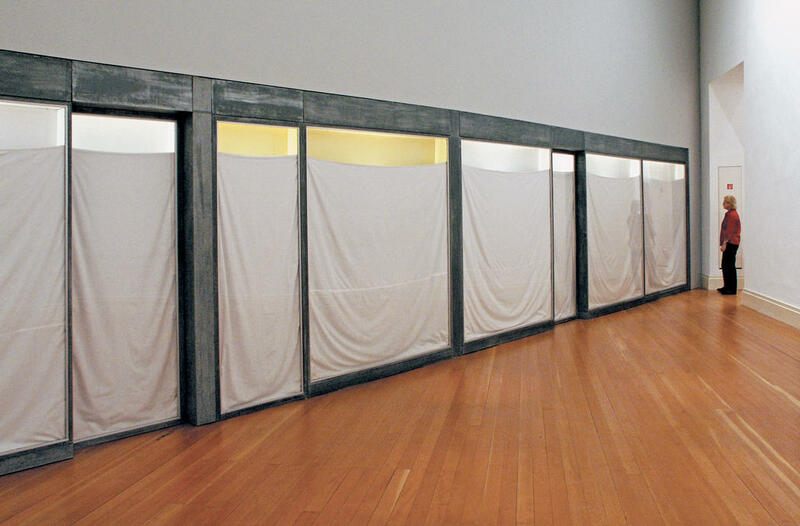 In Show Cases, Christo collected glass displays and medical cabinets from flea markets in Paris, then hung pieces of fabric or pasted paper on the pane interiors, overturning their functions. 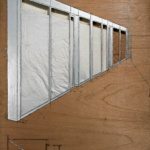 While these works still largely revolved around an object (comparable to the early Wrapped Cans or Packages), they paved the way for the much larger, life-sized series Show Windows and Store Fronts — of which the views were, again, obstructed with fabric. 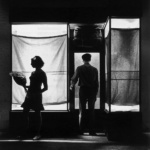 Their proportions echoed the dimensions of the architecture of New York, where the couple emigrated to in 1964. Both of these projects were extremely ambitious in scale, and shared many similarities with a construction project, says Christo. 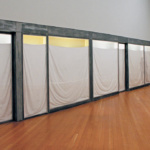 Valley Curtains, completed in 1972 and removed after only 28 hours, due to a strong gale, featured over 200,000 square feet of woven nylon fabric orange curtain, installed across the Grand Hogback mountain range in Colorado. 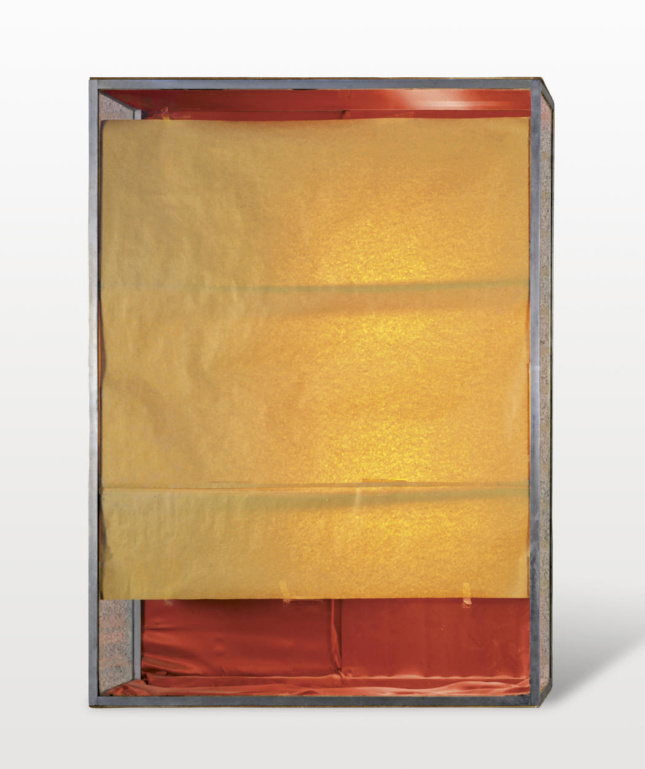 “We had the same people who build and suspend bridges, from suppliers to construction workers,” explains Christo, whose father ran a fabric factory. 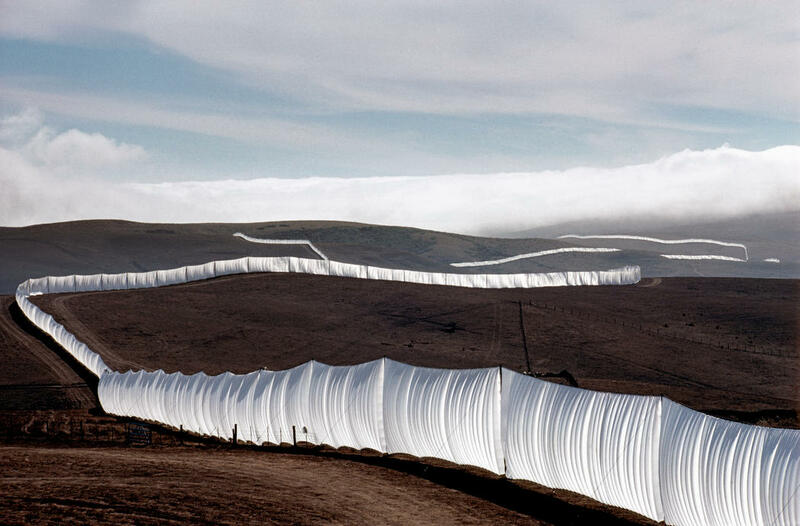 Meanwhile, Running Fence (completed in 1976) was made of over 2 million square feet of heavy woven white nylon fabric, extending over 24 miles east-west from the north of San Francisco and down to Bodega Bay. It required 18 public hearings, three sessions at the Superior Courts of California, the drafting of an extensive Environmental Impact Report and the temporary use of the hills, sky and ocean. 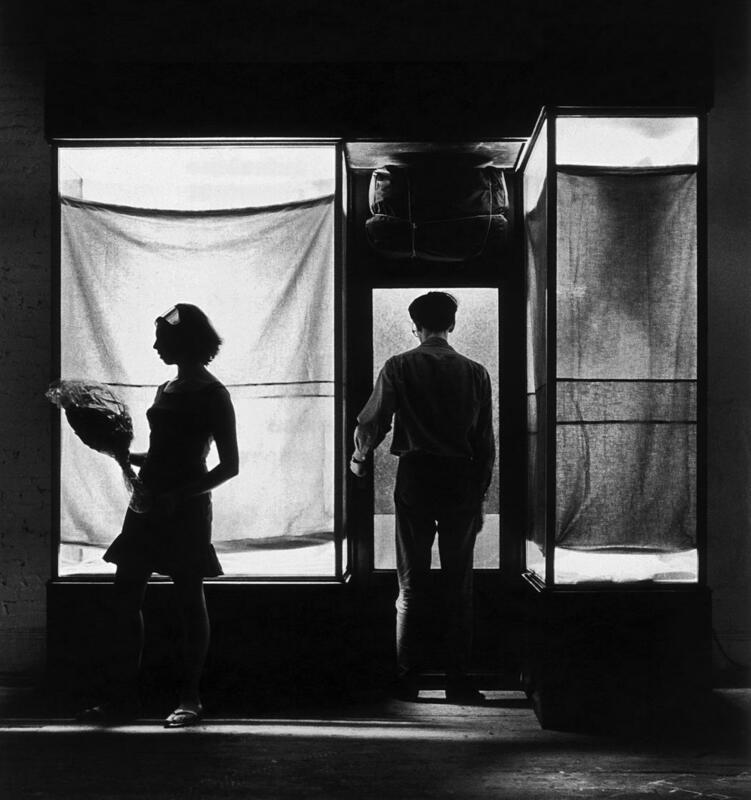 The Store Fronts series certainly represent a milestone in the artists’ oeuvre, where the environment came to frame their artistic discourse. 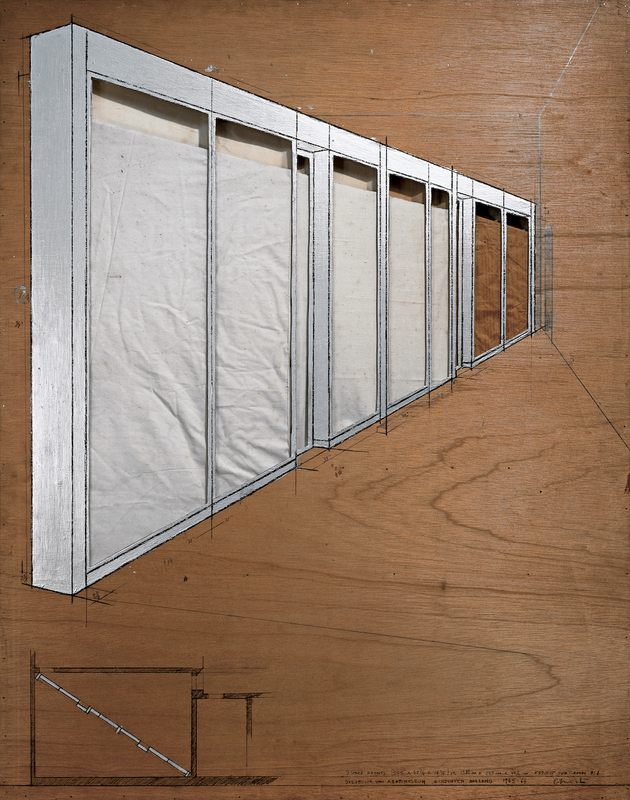 But for Christo, architecture always played an important role. When he studied at the Sofia Academy of Arts in the 1950s, the curriculum was heavily modeled after the German system, where students would equally study fine arts, decorative arts and architecture. 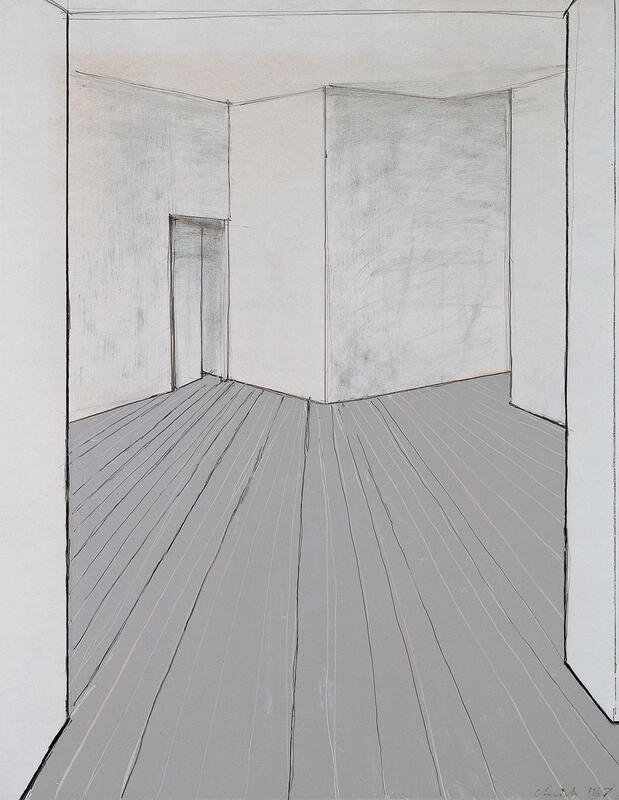 “So it was natural that I was interested in architecture,” he laughs, when I ask about the architectural quality of his projects’ preparatory drawings. 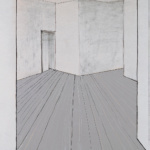 BRAFA Art Fair ran from January 27 until February 4, at Tours & Taxis, Brussels, Belgium. 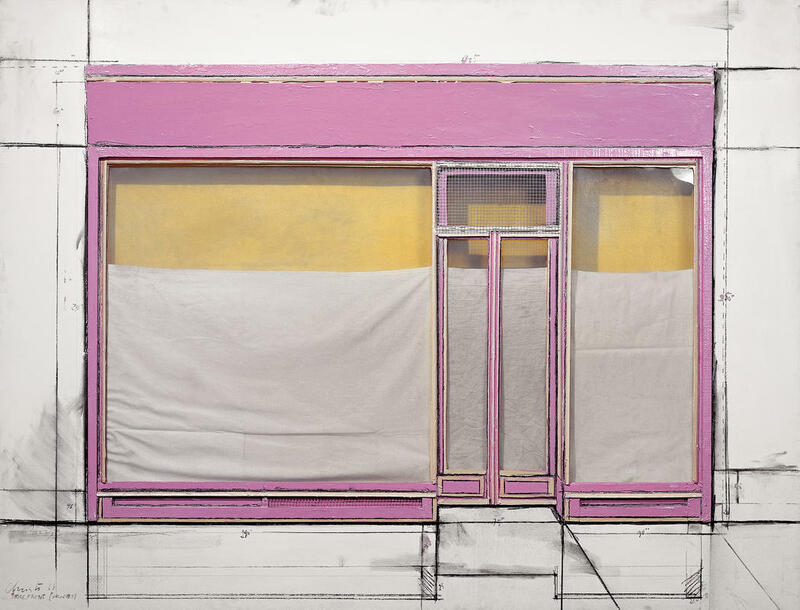 Christo & Jeanne-Claude. 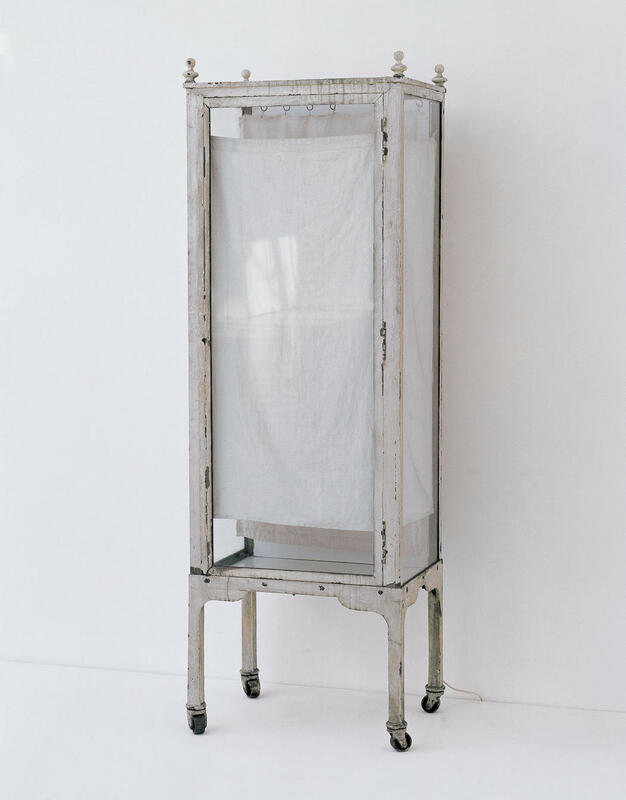 Urban Projects runs until February 25, at ING Art Centre, Brussels.